The World Water Council (WWC) is an international multi-stakeholder platform. The WWC takes an interest in international coordination of policies, themes, and activities in freshwater conservation and management at a global level. The Council awards prizes to honor accomplishments in the water sector. The prizes are announced at the World Water Forum, convened every three years. This forum is among the world’s largest international events on freshwater. Prizes for Accomplishments in the Water Sector. 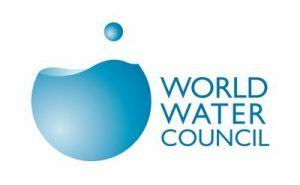 The WWC launches calls for prize nominations on its website prior to each World Water Forum. These forums are scheduled every three years (2015, 2018, etc.). Prizes in the 7th World Water Forum (South Korea 2015) are identified below. King Hassan II Great World Water Prize — One prize of US$100 thousand for outstanding lifetime achievements by institutions, organizations, individuals, or groups of individuals in any aspects of water resources. Kyoto World Water Grand Prize — One prize of ¥2 million for grassroots initiatives that improve the water-related situation of local communities. APPLICATION: Nominations must adhere to the themes, guidelines, calendar deadlines, and other application details for each prize. Each prize has a deadline for applications during the year before the Forum, with announcements published in the News. WWC’s website is available in English, French, Spanish, Chinese, and Russian. WWC is financed primarily through membership fees. Members are international organizations, government organizations, professional associations in the water sector, private companies in the water sector, and others. Specific projects and programs are financed through donations and grants.